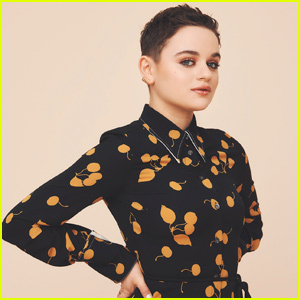 Joey King looks stunning in a photo from her shoot with Bustle, online now. For more from Joey, visit Bustle.com. FYI: Joey is wearing a 3.1 Phillip Lim dress, Melinda Maria earrings, Octavia Elizabeth rings, Christian Louboutin shoes and carrying a Hunting Season purse.